Choosing the right business card can make the different between potential customers remembering your company name (leading to sales), and those individuals seeking the products or services you offer elsewhere. As such, would-be entrepreneurs tend to put a lot of effort into the design of their business cards, in relation to logos, graphics, colours and fonts, and the positioning of these elements. Fewer businessmen and women however, consider the material selected for their cards however – there are more options available than card! Those who select this traditional material however, might be unaware quality varies depending on the type of pulp used, and each kind will have a different impact on those who handle them. Read on for advice regarding business card material selection, in relation to brand impression. The cheapest business cards available tend to be manufactured from sustainable pulps. While pulp is environmentally friendly, it does not always produce the best looking business cards. In fact, unless you employ the services of a well experienced printing company, you might find designs printed on pulp-card bleed a little, or look off-colour. Additionally, pulp cards have a somewhat fibrous service, which might be off-putting to potential clients, depending on the speciality of your business. If you want to position your business as a high-end, lucrative one, you will have to select a material which feels more pleasurable in the hands of those you distribute them too. Luxury matt lamination and silk finishes are more suitable in such instances. If your company is one which makes a point of been green however (a recycling service, for example), then sustainable pulp is likely the ideal choice for the promotion of your business! If you want your pulp-cards to stand out from the crowd however, you might like to consider the extra thick variants which are available. What about business card durability? 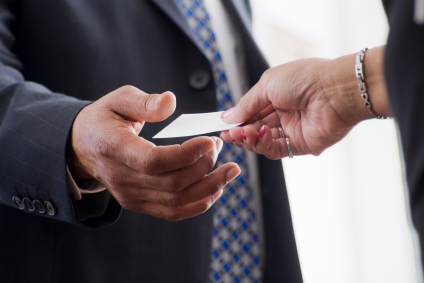 The longer potential customers hang on to your business card, the more likely you will see some business from said customers. Most people will clear out there wallet or purse from time to time. If your business card looks dishevelled or grubby, then it is more likely to end up in the trash along with old receipts and out of date discount vouchers. Glossy business cards are often stronger than their pulp counterparts, and benefit from being a little more dirt repellent also. At a subconscious level; individuals may associate a durable card with a business which is reliable and will not let people down. Less durable cards meanwhile might suggest the business cuts corners to keep overheads low, which could impact opinions regarding the overall service offered (even if such has not been experienced first-hand). An increasing number of businesses are deciding to employ ‘wacky’, innovatively designed and/or multipurpose business cards in order to stand out from competitors. 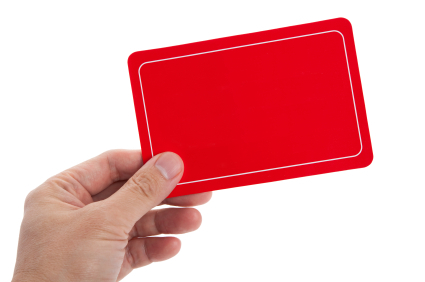 Depending on the ‘out there’ business card idea, certain materials are more suitable than others. For example, someone looking to have a card with a ‘pop-up’ design when it is folded in a certain way is best off selecting card. Those looking for their business card to have an additional function (such as a bottle opener or shoe horn) would need to select metal business cards, or those constructed from extremely durable plastic. Multi-functional cards are popular because they see consumers hold on to them for a longer time. Other memorable business card materials include magnets and UV (ultra violet) coatings. The latter are great for those networking in dark environments such as night clubs. Some food businesses even create edible business cards to promote themselves, though those made of biscuit or chocolate surely won’t be around for long! The delicious taste however, might help to create a vivid memory of the brand, which in turn can lead to the securing of new business. Do You Know You Can Buy an Essay Online? Katrina Cole – recommends Solopress printing for expertly designed, high quality business promotional materials, including leaflets, flyers and premium business cards.